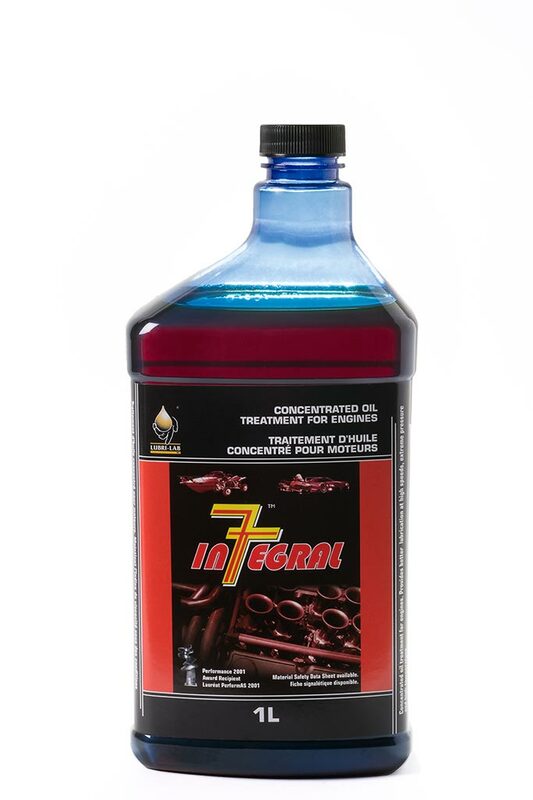 Integral 7™ is an additive specially formulated for use in both gasoline and diesel engines. The anti-friction formula forms a molecular film which reduces friction, heat and wear. Prevents the formation of deposits and eliminates them, and does not burn up when the engine is turned off. This leads to quieter and lubricated starts even after being parked over time. Helps to maintain viscosity levels which prevents the oil from thinning at high temperature. Improves the power and efficiency of all engines but in particular older engines resulting in increased life of the engine and less maintenance. Directions: Add 10% of Integral 7 at each oil change; For Heavy Diesel Engines add 10% to a maximum 2 Liters.